Winnie completed her research year in July 2010 at the National University of Singapore. She is currently completing her clinical studies in Ballarat and Western clinical school. She is interested in rural health, and hopes to be involved with medical education and medical writing in the future. 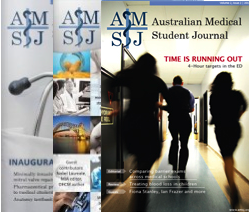 Aim: Computer-aided learning (CAL) is considered comparable to traditional media for undergraduate radiology teaching. Previous studies have often compared the efficacy of traditional media to onsite CAL use, yet real world usage of CAL is likely to occur in offsite settings. 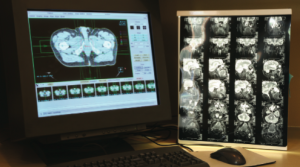 This study aims to compare usage and learning outcomes of a chest radiology CAL in onsite and offsite settings. Methods: Participants were fourth year medical students (n=52) at the National University of Singapore (NUS) undertaking one week radiology rotations. 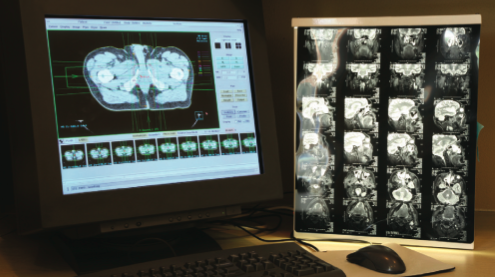 Students were randomly allocated to complete a web-based chest radiology CAL onsite, or offsite at a time and place of choice. Pre- and post-tests were taken to measure knowledge gain, and a questionnaire was used to explore student usage and preferences. Results: The onsite CAL group demonstrated significant knowledge gain (+15.8%, p<0.05) whilst the offsite group did not (+5.8%, p>0.05). However, the difference between the groups was not statistically significant (p=0.069). Total time spent and completion of the program was similar between the two groups. Yet, questionnaire results showed that the offsite group multitasked more and appeared to have poorer concentration. A majority of students from both groups preferred the convenience of offsite CAL use over onsite CAL use. Conclusion: A significant difference between the test groups was not observed, although there was a trend toward onsite CAL use being more effective. In planning CAL teaching, particularly for offsite use, educators need to provide sufficient support and integration for an optimal outcome. Is mandatory pre-procedure ultrasound viewing before termination of pregnancy ethical? Should artificial resuscitation be offered to extremely premature neonates?